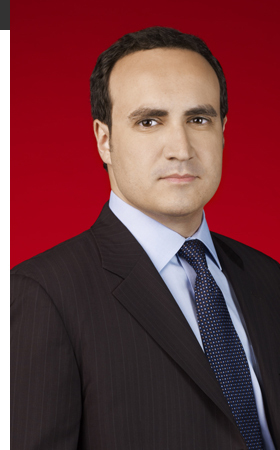 Mohammed Jamjoom is an international correspondent for CNN based in Beirut. Jamjoom began his career at CNN as a freelance reporter and producer while he was living in Saudi Arabia in late 2006. His first story for CNN International involved Iraqi conjoined twin girls who underwent successful separation surgery in Riyadh, Saudi Arabia and he then worked with the CNN Hajj Coverage team that same year. Jamjoom then joined CNN's International Desk in late 2007 and until July 2010 worked as a full time assignment editor. While in Atlanta, Jamjoom also continued to work extensively on Middle East-based stories for CNN, both as a reporter and producer covering breaking news, politics, human rights and business in Iraq, the United Arab Emirates, Saudi Arabia and Yemen. In 2009 and 2010, Jamjoom also travelled to Iraq, the United Arab Emirates and Yemen to produce and report. In Iraq, Jamjoom reported on several aspects surrounding the countrys parliamentary election. In April 2010 he interviewed the family of the Iraqi journalist - Saeed Chmagh - killed in a 2007 attack by a US helicopter gunship in Iraq, after WikiLeaks posted a video showing that he was being rescued when the gunships crew fired on the van to which he was being carried. He has also worked on CNNs Iran desk covering stories such as the case of the Iranian mother who was sentenced to be stoned to death after an adultery conviction. He was part of the team nominated for the 2010 News and Documentary Emmy Awards for CNN's coverage of the story of the failed attempt to down the Northwest Airlines flight from Schipol in the Netherlands to Detroit in the US on 25th December 2009. In January 2010, Jamjoom travelled to Yemen to produce a series of reports and set up an exclusive interview with Dr. Nasser al-Awlaki, the father of American-born Islamic cleric Anwar al-Awlaki. The CNN team also filed stories on how Umar Farouk AbdulMutallab disappeared in Yemen for more than two months before he allegedly tried to bring down a Northwest Airlines jet with explosives concealed in his underwear, plus how al Qaeda is able to operate across large areas of Yemen. In May 2010, CNN gained exclusive access to one of Baghdads two female juvenile prisons and Jamjoom became the first reporter for a Western television network to file a story from inside. Prior to joining CNN, Jamjoom worked for Saudi Arabias English language Channel 2, where he worked as a co-anchor on its primetime news show; anchored the news-in-brief segments; co-hosted, the morning show 2U; and hosted, wrote and produced for several other programmes for the channel. He also freelance produced and coordinated for other journalists and outlets visiting the Kingdom. Jamjoom was born in Jeddah, Saudi Arabia. He spent his childhood living between Saudi Arabia and the United States. He attended Southern Methodist University in Dallas, Texas, where he studied journalism, cinema and history. He is fluent in both English and Arabic.